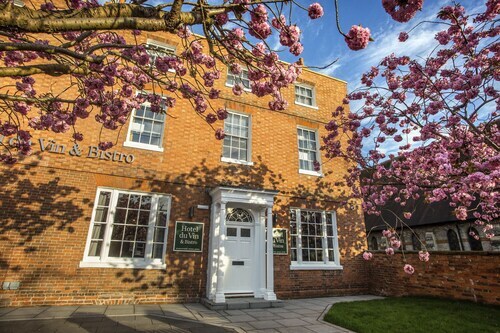 Comfortable room and great location to many restaurants, the Royal Shakespeare Company, and other sites. Well managed property near the historic center that makes a nice base for exploring Shakespeare country. Large, comfortable rooms and great staff add to the enjoyment. Would recommend. The Holiday Inn provided a comfortable, calm escape from the crowds in Stratford-upon-Avon. Everything was neat and orderly, and staff were effective (if a bit leisurely and distant) in helping us. So you're pondering a holiday to Halford? If you want a place to call home that's located close to Halford attractions, use Orbitz to pick your travel dates, and then presto! Review the list of hotels and other accommodations to identify those that are located near everything you want to see and do. There are 674 accommodations to choose from within the larger area if you can't find a place you want to stay in Halford. Search by filters such as price, neighborhood, guest rating, or popular locations, depending on what's most important to you. We make it easy to find a convenient flight into Coventry (CVT), which is 18.7 mi (30.1 km) from the heart of the city. Find the ideal flight in a flash by using the filters on our site to narrow down your search. 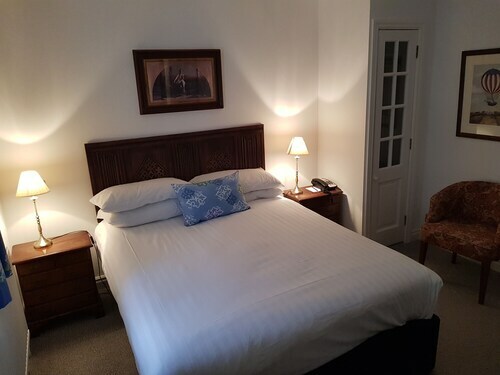 There might be just a few hotels and accommodations to choose from in Halford, but here are more options located nearby so you'll have some choices. What's the Weather Like in Halford? We stayed in Dunbar because we played golf there. it was a nice hotel. it was older but clean and had a delicious breakfast. The view from our room was great and we really enjoyed the hiking trail just outside the door.